Winter seems to have set in properly in most places bringing with it harder riding conditions and cold, that is apart from at our testing location in Punta Ala, Tuscany where we have been out trying bikes and bits for the last few days. 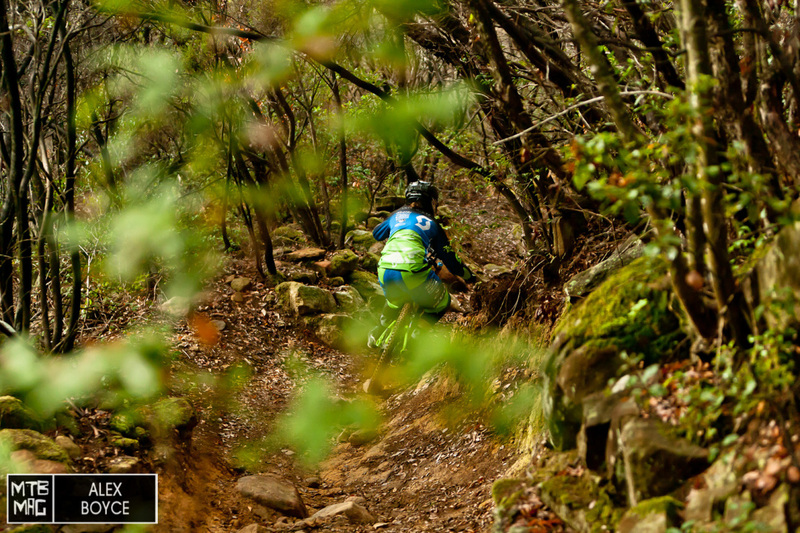 We rode down one of the particularly difficult trails called “Rock-Oh” and tried to tame it. It did get the better of us a few times. 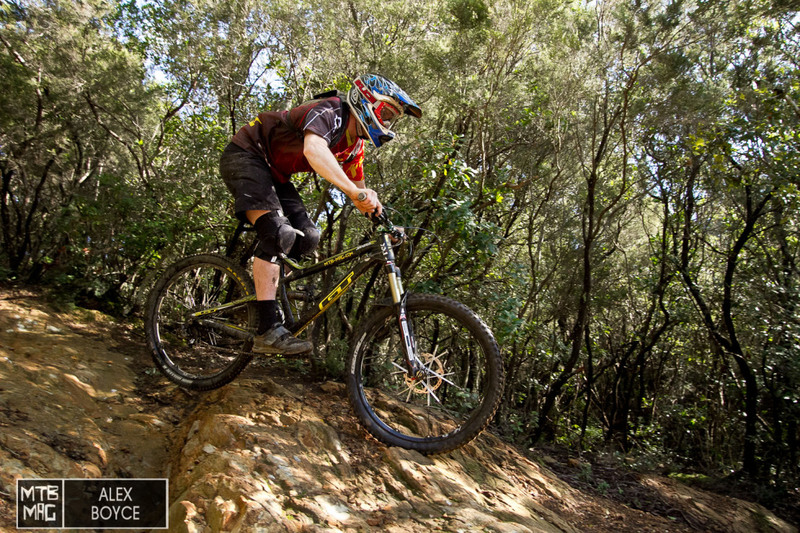 We thought it would be good as a side benefit of testing the Cannondale Jekyll we have on test, to show one or two of the trails where we have been riding as part of our Trail Hunting series. 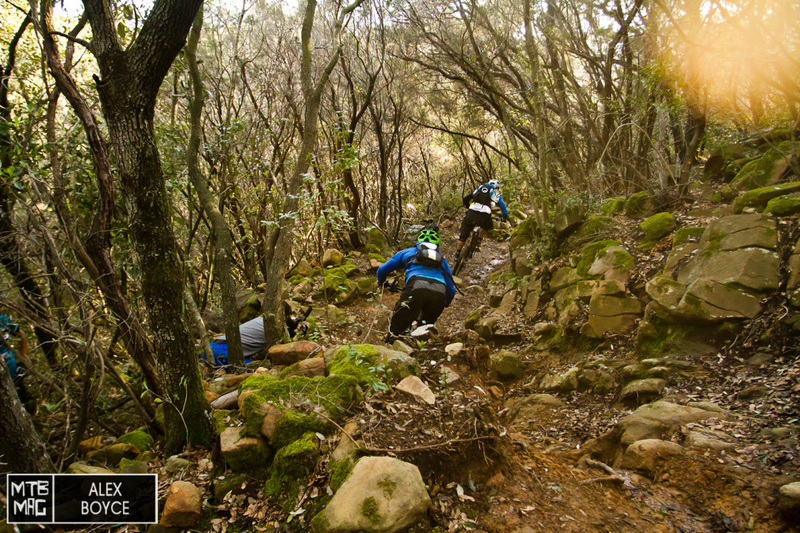 Rock-Oh is well known as very gnarly difficult trail, there aren’t many trails like this that test rider fatigue, bike and mental stamina all at the same time. 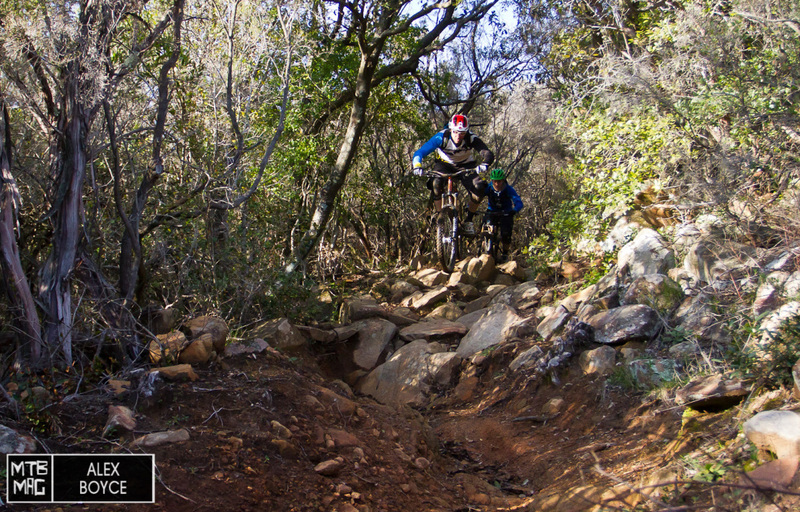 In general the trails we test on in Punta Ala can be flowing, easy, sometimes technical but mostly fun. However it makes sense sometimes to push the limits and see what happens. 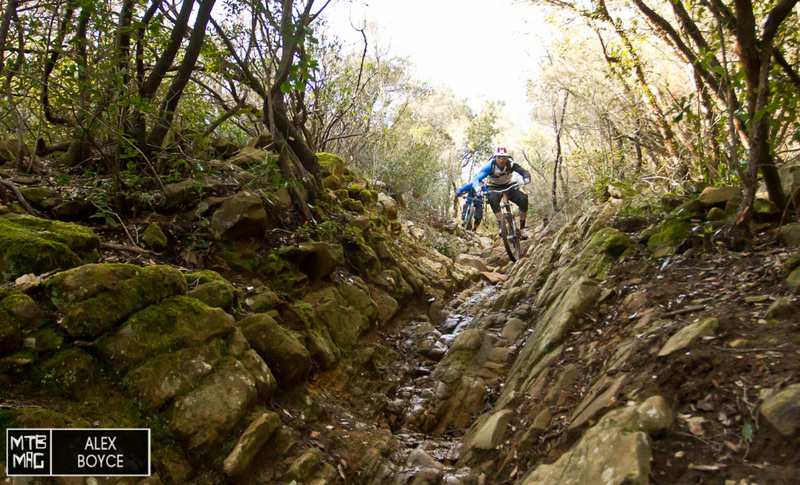 The trail we rode is located in Punta Ala Tuscany, and has been used as a professional Enduro race trail for the last few years, including during the Enduro World Series. It is about 3.5km long and take anywhere between 25 minutes to 7 minutes to get down it, depending on how good the rider is. 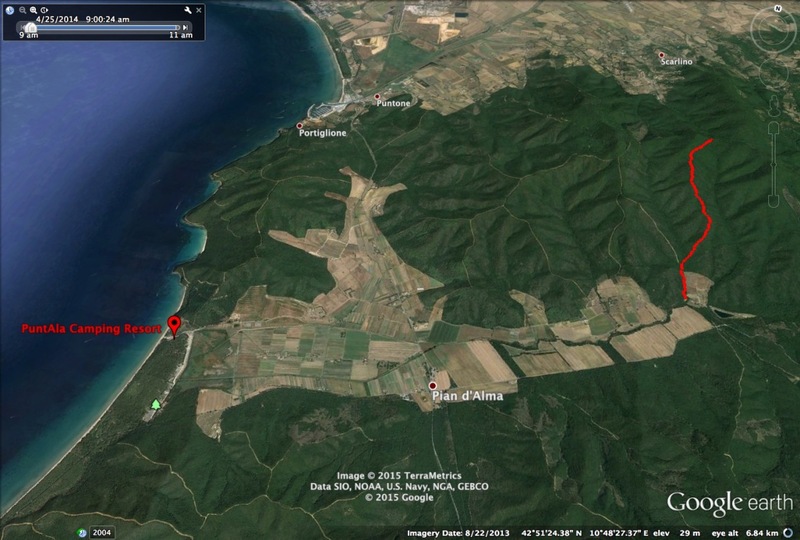 Punta Ala at this time of year is fairly warm and the hills and trails are right by the sea. Getting to the top of the trail is pretty easy. 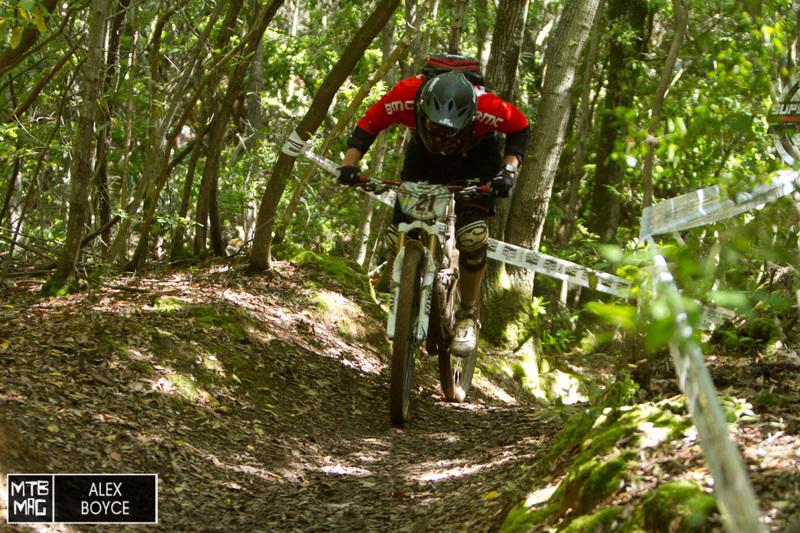 It is best to pedal up unless using a 4×4 shuttle as the road up is rough. Strava Segment Looking down the list there are quite a few famous names on there that have ridden the trail. 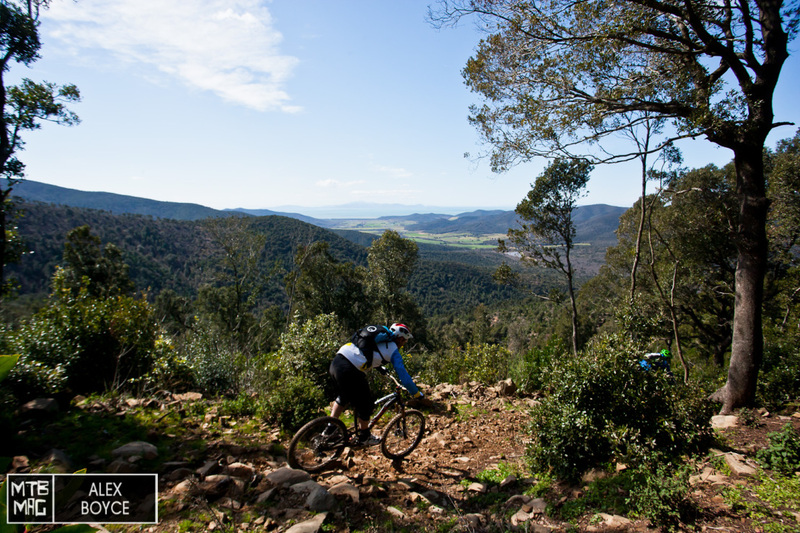 The trail is reached by a white road pedal to the top of the hill at 480 metres high. 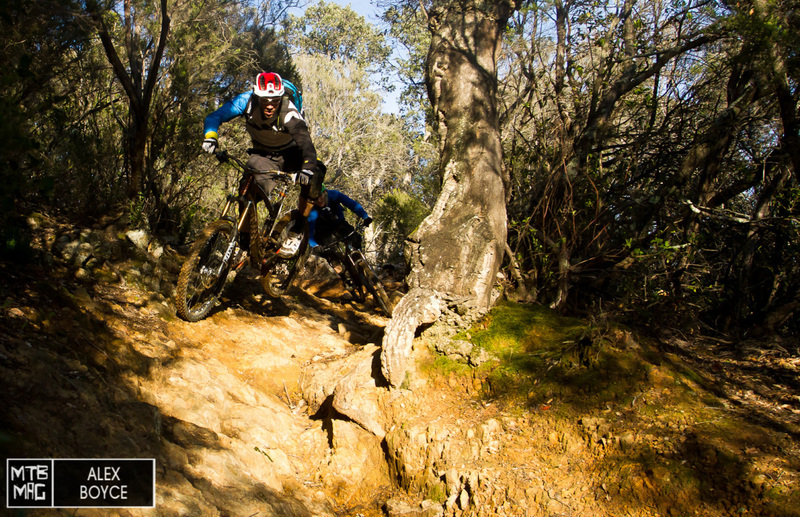 Rock-Oh is an Enduro trail that features technical sections, flow sections, pedal sections and a huge rock section that seems to be getting rougher as time goes by. 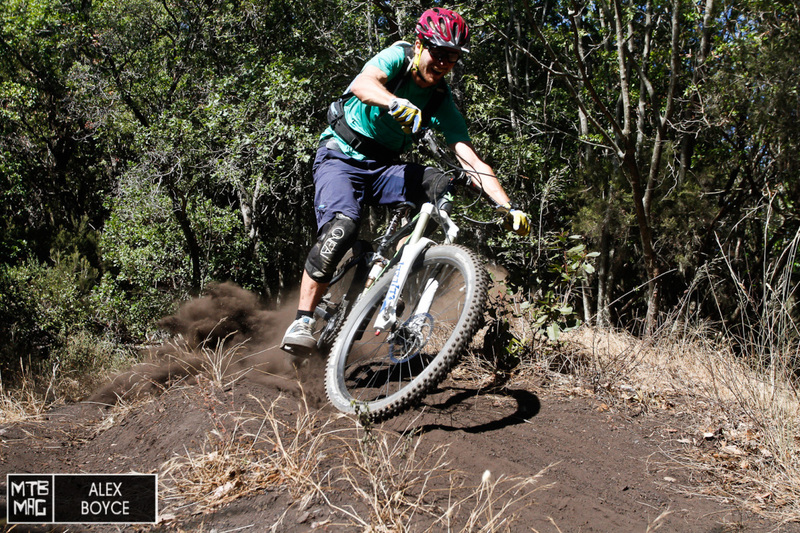 When MTB-MAG was testing in November 2014 for our group bike test, one of the comments was, “I don’t remember it being that difficult.” In truth it probably has got marginally harder, but it always was hard and destined to become infamous. 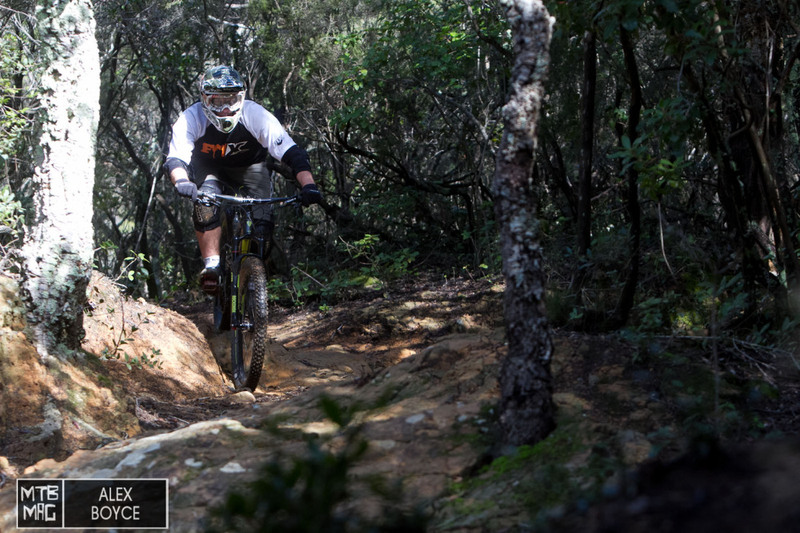 Having ridden it more than 40 times means it has become a bit of a “pump track” for some like our test rider. 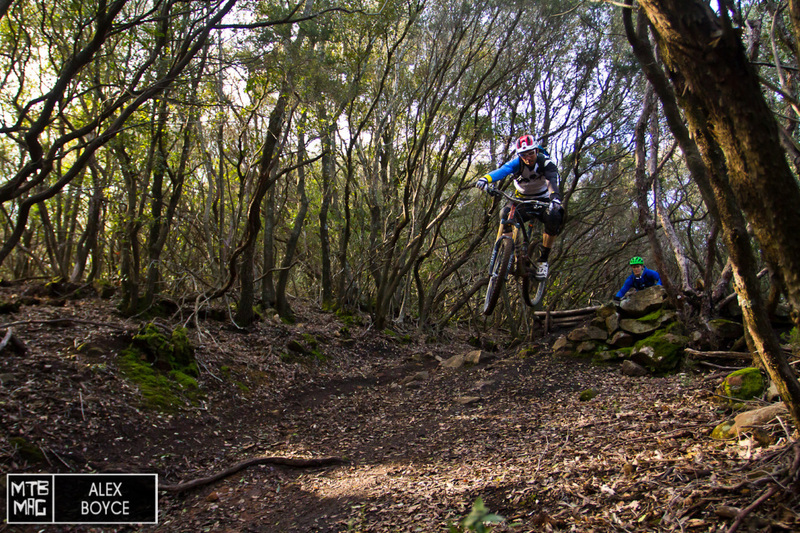 However there is nothing like taking an Enduro rider down it for the first time and watching their face expression dance between enjoyment and difficultly. The top part of the track is flowing and dirt based. At a certain point about a third of the way down the trail starts to get very rocky. 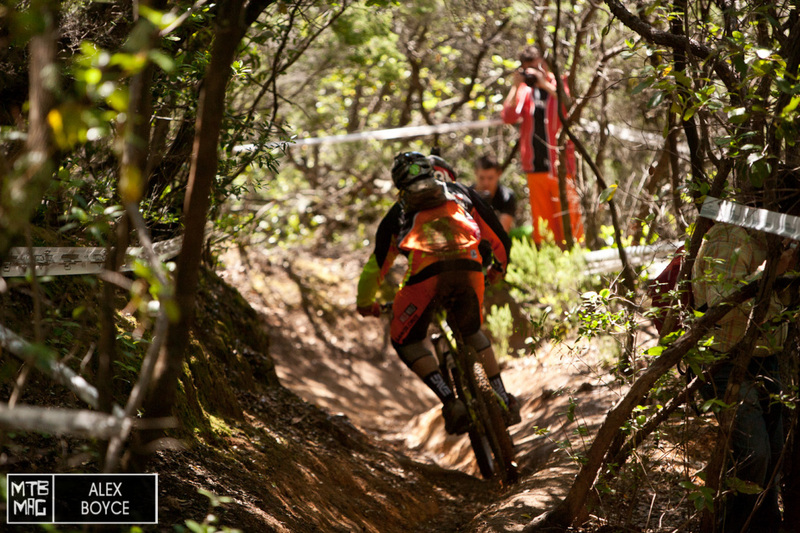 Here Fabian Barel starts to tame it. 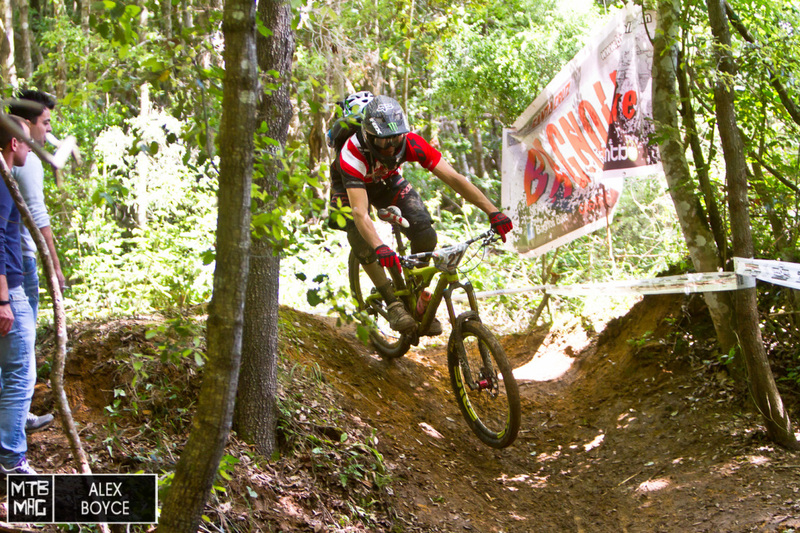 There is a nice drop that fires riders down the trail into a rock garden. The start of the rock section. 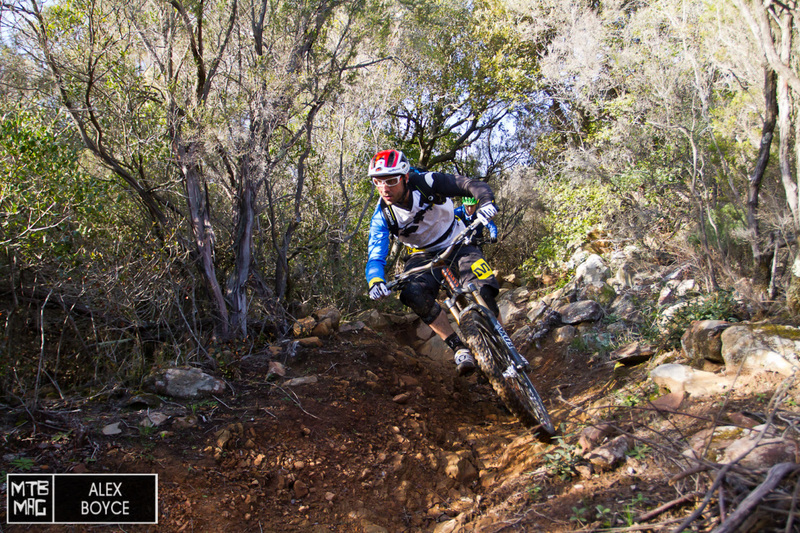 The trail then drops into a wide formed rocky channel that tests all elements of the bike. 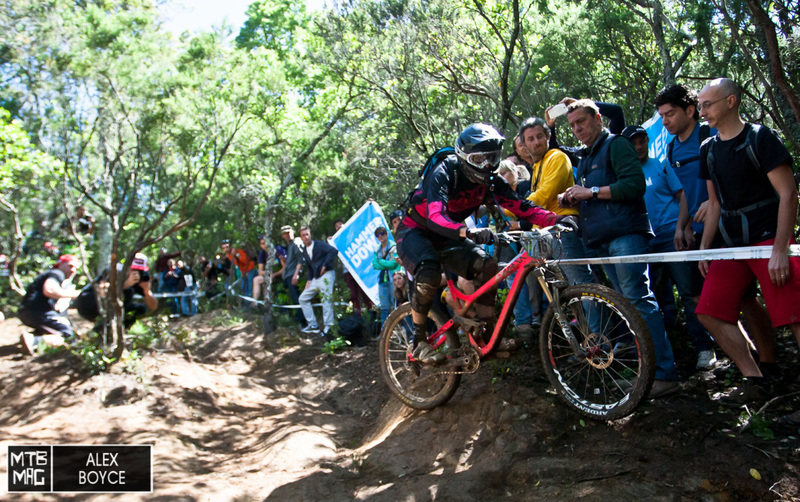 The trail continues down the hill with tight corners that are well formed and allow the riders a smooth line if they go high. 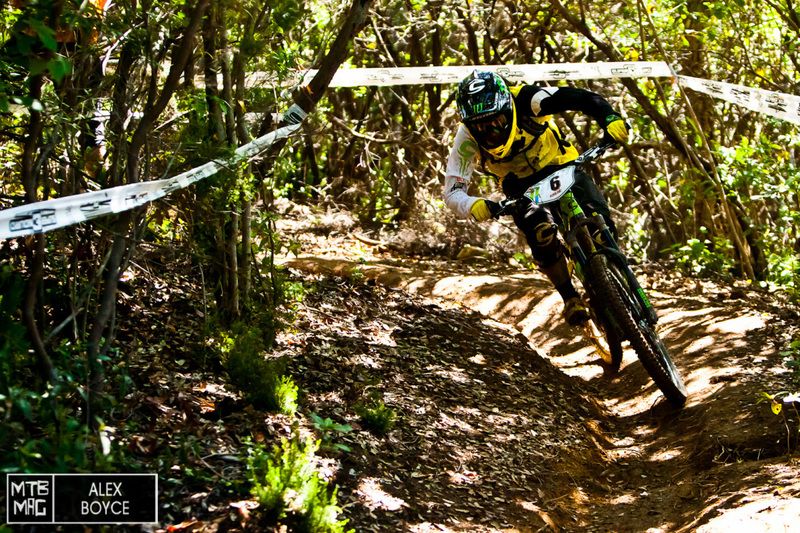 Fabien Barel here shows how the correct line choice need not be so hard. The track then starts to smooth out for a while before the rough last rock slab. The last section is approached by some flat corners which can give a false sense of security. Here Jerome on his Jekyll makes easy work of the last part of the trail. Approaching the finale which is the rock slab. When races take place this is where all the action is, on the rock slab. Marco Milivinti shows us why the rock slab is hard, there is a very tricky hop onto a slick rock that does not really allow any braking. It’s more of a do or die situation here if one takes the racing line the rider needs to control enough to get to the last corner. The easier line to the left though can still be a challenge. Once out of the last rock section, it’s a sprint to the line with one last river crossing, here Josh Bryceland shows how to take the last bank. Just a sprint to the finish. At this point of the trail everything hurts, and is tired. Even if taking the trail easily. 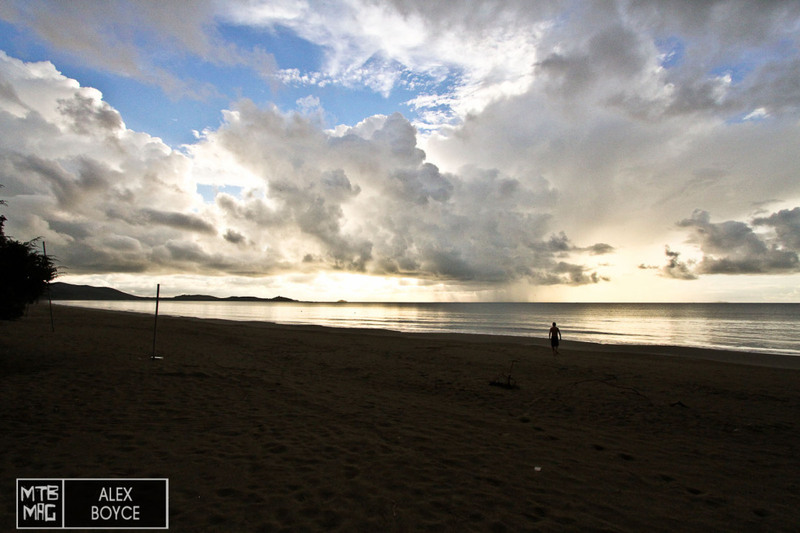 Rewards are big though, here in November Marco Toniolo from MTB MAG enjoys a dip on the beach in Punta Ala.
To Ride This Trail Visit Here.